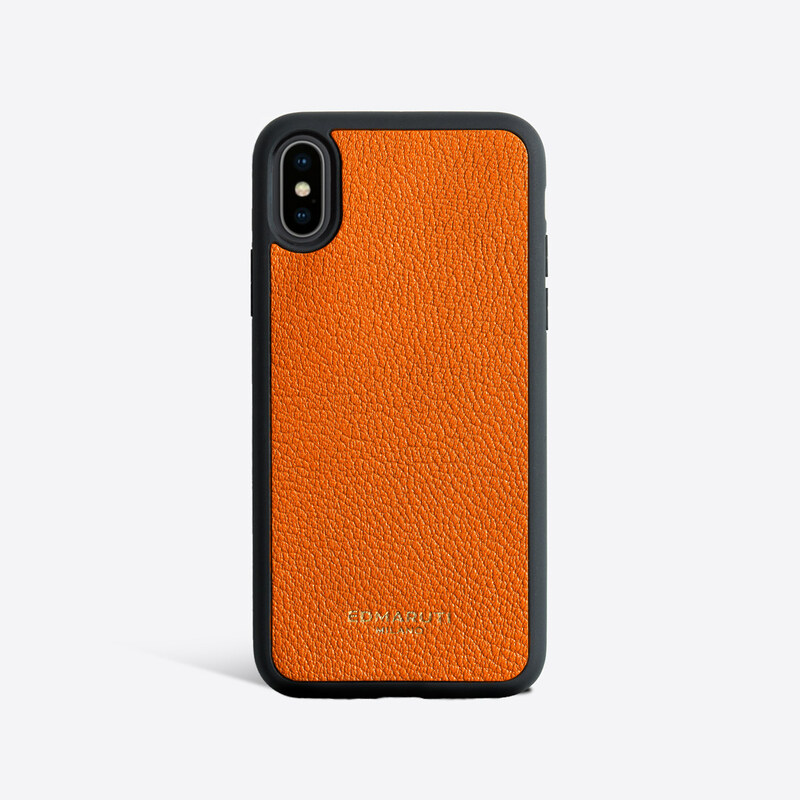 iPhone Case inlaid with genuine orange Chèvre leather, gold foil stamped logo, with soft touch Rubber frame.Easy clip-on installation and open access to all ports. Case fits an iPhone X. • Please note, this is just phone case, iPhone is not included. • Each piece of leather and skin are unique. Any irregular or tonal variations, marks or veins are natural characteristics and should not be considered imperfections.